As oil-rich Mexico faces the 1980s, conflicts between agrarian populism and capitalist industrialization call for resolution. The internal peace and political stability that made the period between the late 1930s and the early 1970s so productive left many Mexicans—particularly the campesinos—marginal to the benefits of the economy. During this period of economic growth, agrarian reform, the trademark of the Mexican revolution, was relegated to a position of lesser importance in national politics. But with forty percent of the population still remaning in the countryside, it is clear that programs for rural development and land redistribution must again be given prominence. 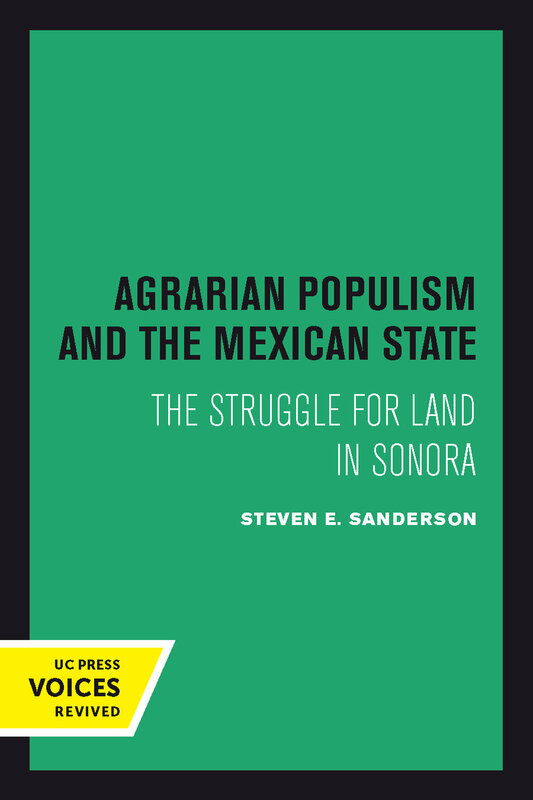 In this study of Sonora—a key agricultural state in northwestern Mexico—Steven E. Sanderson examines in economic and political terms the post-revolutionary rise of agrarian reform and its decline, dividing the sixty years of change (from 1917 to 1976) into three periods. Agrarian populism dominated the first, which he calls a time of post-revolutionary consolidation (1917–1940). Then, during the "miracle years" of 1940–1970, the growing strength of capital and the success of state-led import substitution plans led to a counterreform in agrarian politics. In the final period, that of President Echeverria's populist resurgence (1970–1976), ambitious but flawed agrarian reform plans clashed with the sector that favored the increasing concentration of land, income, and political influence. Sonora provides a particularly interesting view of these developments because of its political and geographical distance from metropolitan Mexico, its rich history of independence, its economic growth since the revolution, and the political sophistication of its residents. The events in this state exemplify the regional imbalances, the ideological biases, and the political manipulations contributing to the crisis in state legitimacy that dominated Mexican politics in the 1970s. 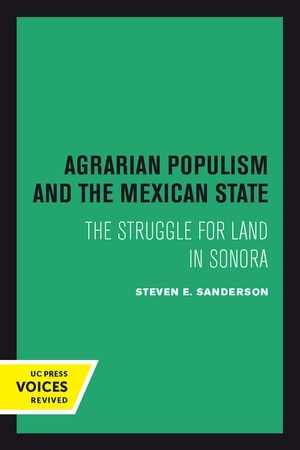 Using a combination of agrarian census materials, state archives, newspapers, records from relevant ministries, and selected interviews with participants, Sanderson presents the complex history of conflict between the political base supporting agrarian reform and the economic forces advocating industrialization and economic growth. This title is part of UC Press's Voices Revived program, which commemorates University of California Press’s mission to seek out and cultivate the brightest minds and give them voice, reach, and impact. Drawing on a backlist dating to 1893, Voices Revived makes high-quality, peer-reviewed scholarship accessible once again using print-on-demand technology. This title was originally published in 1981. Steven E. Sanderson is the President and Chief Executive Officer of the Wildlife Conservation Society.